I’m off until the week of August 1st, but expect a column in the newspaper on July 23. In the meantime, you can follow me on Facebook, where I’ll be posting some sketches from another beautiful city by the water: Lisbon. I will be attending the 2nd International Urban Sketching Symposium with fellow artists from all over the world. 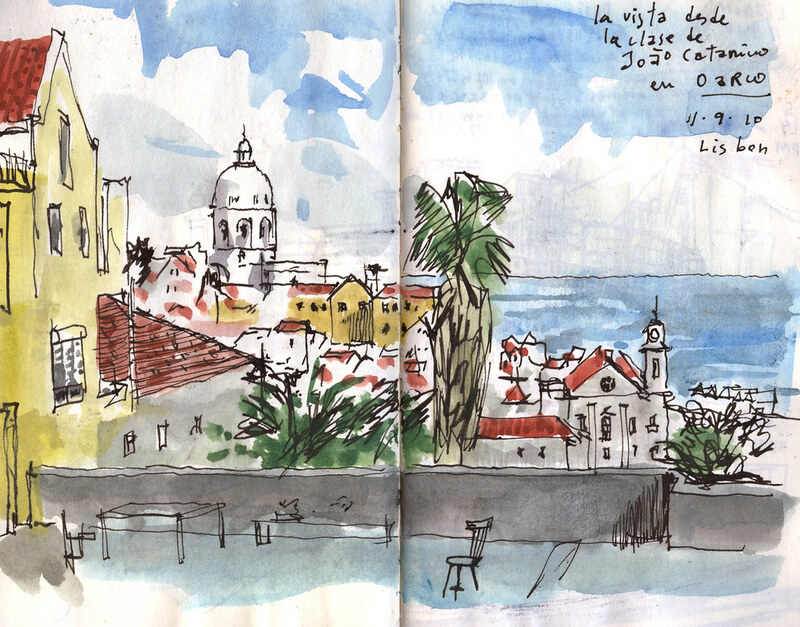 Below is a sketch I did on my pocket Moleskine sketchbook while I visited the Portuguese capital in November. Travel and sketching are a perfect match! I hope you too get to do a little bit of both during your summer vacation. Safe travels and happy sketching!